Tamera Mowry was photographed wearing 21HM while attending the Febreze ONE Happy Home Video Series in New York City! The actress accessorized her floral frock with 21HM's Half Moon Bay Earrings ($28; www.21hmboutique.com). 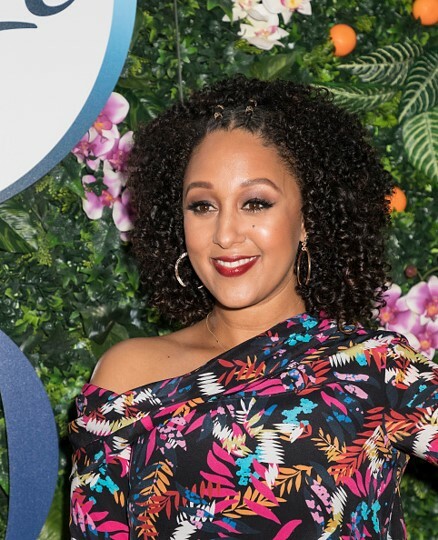 Tamera Darvette Mowry-Housley is an American actress and model. She first gained fame for her teen role as Tamera Campbell on the ABC/WB sitcom Sister, Sister. She has also starred in the Disney Channel Original Movie Twitches and its sequel, Twitches Too, and she played Dr. Kayla Thornton on the medical drama Strong Medicine. A reality TV show following her and her twin sister's lives, Tia & Tamera, began airing on the Style Network in 2011, ending in 2013 after three seasons. See a few other beauties wearing 21HM. 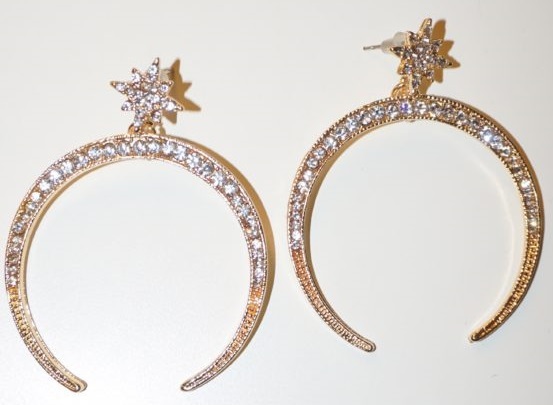 Here is a closer look at the earrings worn by Tamera. By the way, do you want to see one more beautiful celebrity wearing 21HM jewelry? OK, I assume that you said yes. Here is beautiful Victoria Justice with her 2017 festival look.